This page tracks current known issues with Android Studio and the Android Gradle Plugin. To report an issue not already included here, see Report a bug. Out of memory errors when scanning C++-based projects: When Gradle scans a project that has C++ code in more than one location on the same drive, the scan includes all directories below the first common directory. Scanning a large number of directories and files may lead to out of memory errors. If you experience this behavior in your project, we recommend using Android Studio 3.2. For more information on this issue, read the bug associated with the issue. Espresso Test Recorder compilation failure: Compilation fails with the message Execution failed for task ':app:compileDebugAndroidTestJavaWithJavac' when you attempt to build a project that uses the Espresso Test Recorder. This issue affects versions of Android Studio below 3.2 that use version 3.0.2 or later of the espresso-core dependency. This issue does not affect Android Studio 3.2 and higher. If you are using Android Studio 3.1 or lower, you can work around this issue by setting a dependency on a version of espresso-core below 3.0.2 or by adding a separate rules dependency, as shown in the Espresso setup instructions. The @RestrictTo lint check does not work for Windows machines: In Android Studio 2.3, the @RestrictTo lint check does not correctly trigger error messages on Windows machines. Virtual devices with parentheses in their names will not run: In Android Studio version 2.2, although you can include parentheses in the name of a Virtual Device (and in fact, some devices, like Android TV, include parentheses in their names automatically), you cannot run a virtual device that uses parentheses in its name. To avoid this problem, edit the Virtual Device to remove all "(" and ")" characters from the name. Tools and libraries that require the app's class files are not compatible with Jack: Various tools that read .class files (such as JaCoCo, Mockito, and some lint checks) are currently not compatible with the Jack compiler. Mac performance: The OpenJDK 1.8.0_76 bundled with Studio 2.2 has a few problems on Mac. Using an external 4K monitor with a scaled resolution can adversely impact rendering performance as discussed in issue 203412 and in IDEA-144261, up to the point that the IDE becomes unresponsive. Additionally, as reported in issue 223749 and in IDEA-158500, scrolling is very sensitive on Mac 10.12 (Sierra). Gradle Sync Failed: Broken Pipe: The issue is that the Gradle daemon is trying to use IPv4 instead of IPv6. Workaround 2: in Android Studio's vmoptions file, change the line -Djava.net.preferIPv6Addresses=true to -Djava.net.preferIPv6Addresses=true For more information, see the Networking IPv6 User Guide. If you're behind a proxy, try to connect directly. If the direct connection works, then in order to connect via the proxy you may need to use keytool to add the proxy server's certificate to the cacerts file. JUnit tests missing resources in classpath when run from Android Studio: If you have specific resource folders in your Java modules, then those resources won't be found when running tests from the IDE. Running tests using Gradle from the command line will work. Executing the Gradle check task from the IDE will also work. See issue 64887 for more details. This issue happens because as of IntelliJ 13, you can only have a single folder as the classpath. IntelliJ's builder copies all resources into that build folder, but Gradle doesn't copy over the resources. Workaround 1: Run the Gradle check task from the IDE rather than running a unit test. Workaround 2: Update your build script to manually copy resources into the build folder. See comment #13 for more information. Running JUnit tests may compile the code twice: When creating a new project, the template JUnit configuration might be created with two "Before launch" steps: Make and Gradle-aware Make. This configuration is then propagated to all created JUnit run configurations. To fix the issue for the current project, click Run > Edit Configurations and change the default JUnit configuration to only include the Gradle-aware Make step. To fix the issue for all future projects, click File > Close Project. You should see the welcome screen. Then click Configure > Project Defaults > Run Configurations and change the JUnit configuration to only include the Gradle-aware Make step. Gradle run configurations (which have a Gradle logo as the icon) don't work. JUnit run configurations (which have an icon without the green Android) don't apply to instrumentation tests, which cannot be run on the local JVM. Android Studio also remembers the run configuration created in a given context (for example, right-clicking a specific class or method), and will not offer to run in a different configuration in the future. To fix this, click Run > Edit Configurations and remove the incorrectly-created configurations. Linux and the Awesome WM 3.4: Android Studio versions 0.8.3 and higher may not work correctly with the "Awesome WM" window manager version 3.4. To resolve this issue, upgrade to Awesome WM version 3.5. This workaround only disables input methods for Android Studio, not any other applications you may be running. Note that if you restart the daemon while Android Studio is running (for example, by running ibus-daemon -rd), you effectively disable the input methods for all other applications and may also crash Android Studio's JVM with a segmentation fault. Workaround 3: Double-check the shortcut bindings to make sure that the Next input shortcut is not set to Control+Space, since this is also the code completion shortcut in Android Studio. Ubuntu 14.04 (Trusty) makes Super+Space the default shortcut, but settings from previous versions may still be around. To check your shortcut bindings, run ibus-setup on the command line to open the IBus Preferences window. Under Keyboard Shortcuts, check the Next input method. If it is set to Control+Space, change it to Super+Space, or another shortcut of your choice. Workaround 1: Unset the JAVA_TOOL_OPTIONS environment variable when running Android Studio. Adding Java breakpoints while debugging native code: While your app is paused at a breakpoint in your native code, the Auto and Dual debuggers may not immediately recognize new Java breakpoints that you set. To avoid this issue, add Java breakpoints either before starting a debug session or while the app is paused on a Java breakpoint. For more information, see issue 229949. Stepping out of the native debugger: While using the Auto or Dual debugger to debug Java and native code, if you step into a native function from your Java code (for example, the debugger pauses execution at a line in your Java code that calls a native function and you click Step Into ) and you want to return to your Java code, click Resume Program (instead of Step Out or Step Over ). Your app process will still be paused, so click Resume Program in the your-module-java tab to resume it. For more information, see issue 224385. Spurious render exception: The specific render error message is: "The following classes could not be found: - android.support.v7.internal.app.WindowDecorActionBar". Despite the error message, the layout preview is correct and the message can be safely ignored. This issue has been fixed as of the Android Studio 2.0 preview. First, attempt to install the latest version of HAXM from the SDK Manager. 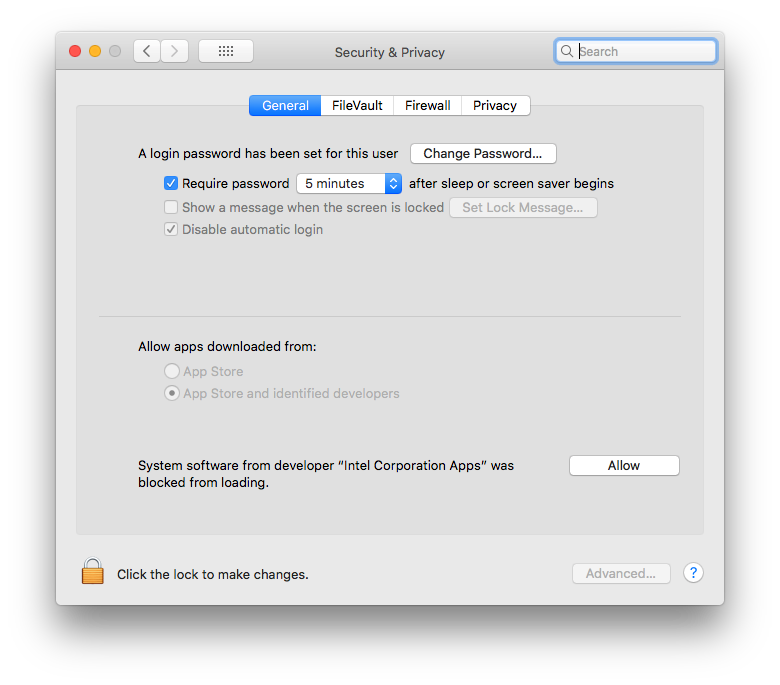 In MacOS, go to System Preferences > Security and Privacy. For more information and workarounds, see this Apple webpage and issue 62395878. To disable configuration on demand in the Android Studio settings, choose File > Settings (Android Studio > Preferences on Mac), select the Compiler category in the left pane, and clear the Configure on demand checkbox. In Android Studio 3.2 Beta 1 and higher, the options for enabling configuration on demand have been removed. For more information, see issue #63180002. To use Protobufs, you must upgrade the Protobuf plugin to version 0.8.2 or higher. The third party android-apt plugin is no longer supported. You should switch to the built-in annotation processor support, which has been improved to handle resolving dependencies lazily. JAR signing (v1 scheme) does not support file names containing Carriage Return (CR) characters. (See issue #63885809). Android Gradle Plugin 3.0.0 and higher introduce API changes that remove certain functionalities and may break your existing builds. Later versions of the plugin may introduce new public APIs that replace broken functionalities. // but those object don't exist at configuration time with the new model. However, more complicated tasks that involve accessing outputFile objects no longer work. That's because variant-specific tasks are no longer created during the configuration stage. This results in the plugin not knowing all of its outputs up front, but it also means faster configuration times. A problem occurred configuring project ':myapp'. // Stores the path to the maifest. // Stores the contents of the manifest. // Changes the version code in the stored text. // Overwrites the manifest with the new text.